How To Get Rid Of Water On The Knee? Read more: What Causes Fluid Behind The Knee? What is water on the knee disease? Water on the knee can be described as a condition in which an excess amount of fluid accumulates in the knee joint and around it. The medical term used by doctors for the buildup of water in the knee joint is “effusion”. There are several people who suffer from water on the knee problems, which could be the result of overuse, injuries, trauma as well as other underlying diseases and medical conditions. Since this condition can lead to a lot of pain and can interfere with normal movement and functioning, most people seek medical treatment to cure this condition. 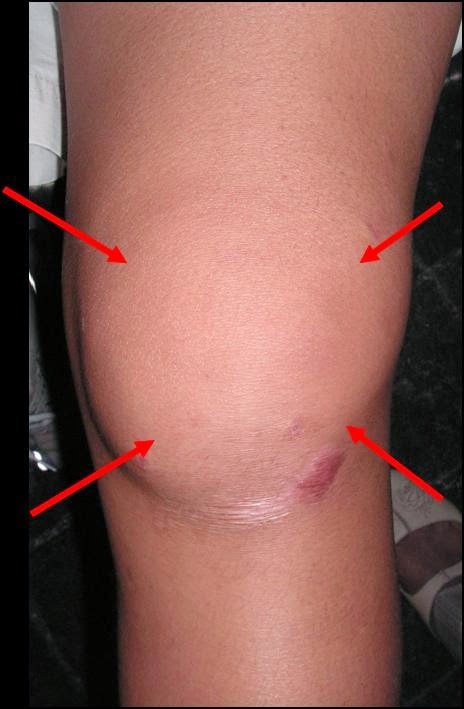 However, before administering any form of treatment for water on the knee cap, it is necessary to identify what the water on the knee causes could be. How to get rid of fluid on the knee? However, corticosteroids are not suitable for long term use, as they can lead to adverse side effects on the body. Therefore, in case the condition does not get better with the medicines and creams, doctors may need to recommend a surgical knee draining procedure. One of the most common water on the knee draining medical procedures includes Arthrocentesis or joint aspiration in which the fluid is removed from the joint of the knee to relieve the pressure caused by the buildup. Once the excess water is drained, a corticosteroid injection may be administered to treat the inflammation. At times, a surgeon may also use a tool known as an Arthoscopy, to look inside the knee joint so that the exact extent of the damaged caused by wear and tear can be determined. This instrument is also very useful for repairing any damage within the knee. In case a person finds it difficult to place their weight on the knee in spite of trying some of the treatment options, doctors may also recommend a joint replacement surgery, as the last resort.